Starting out in 1969, the Superstar was the first low-top basketball shoe to feature an all-leather upper. Featuring its classic rubber shell toe and signature three-stripes on the sides, the Superstar made a swift transition from the courts to the streets after rap group Run DMC wore them. 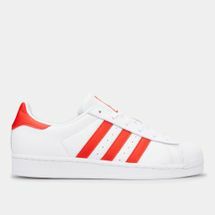 With a look that boldly says old school, the adidas Originals Superstar design has remained unchanged. 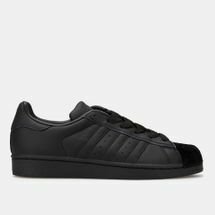 Whether you prefer the dark adidas Superstar black colourway, the clean adidas Superstar white colourway or even the shiny adidas Superstar gold look, you know you’re always wearing an iconic design. 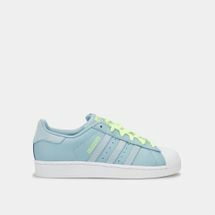 Lace up a classic by checking out the latest range of adidas Superstar shoes for women, men and kids online at Sun & Sand Sports and have your order delivered to your doorstep in Dubai, Abu Dhabi and all across UAE. The adidas Superstar shoes became a huge phenomenon right after Pharrell’s Happy hit the billboard charts. 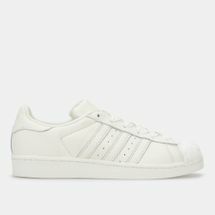 The adidas Superstar women’s collection has been around since 1969. The low-top shoes with the iconic 3-stripes became a favourite for celebrities, Hollywood A-Listers, fashion bloggers, street stylists and amateur fashion enthusiasts. 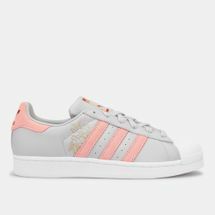 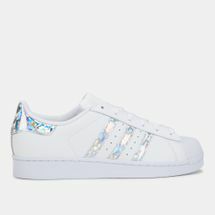 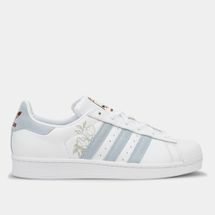 Right from the adidas superstar white shoes to the sleek adidas Superstar gold – Sun & Sand Sports brings the brand’s most famous collection for men’s, women’s and kids. 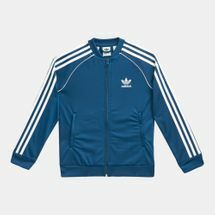 Bag the most famous collection right here at the Sun & Sand Sports online store. 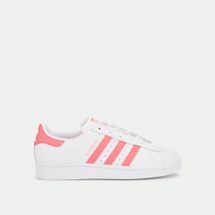 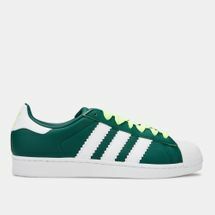 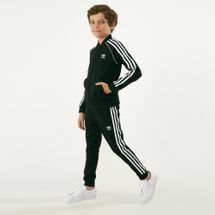 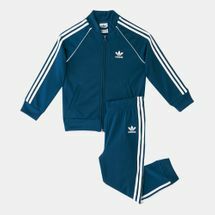 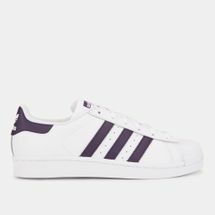 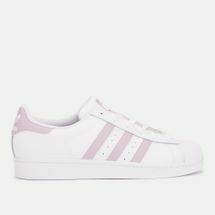 Whether you’re picking the adidas Superstar 2, adidas Superstar kids or the adidas Superstar men’s – the online store brings a range of colours, models and styles to suit your personal style. 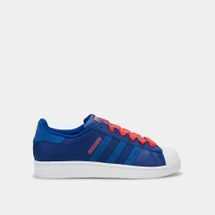 Pair the iconic shoe with denims, casuals or formals and follow our blog – blogsssports.com to get the latest updates on the most iconic shoe from adidas.